No one likes waiting. Unfortunately, sometimes waiting is a fact of life. You see it in medical offices, car dealerships, restaurants, and retail stores. 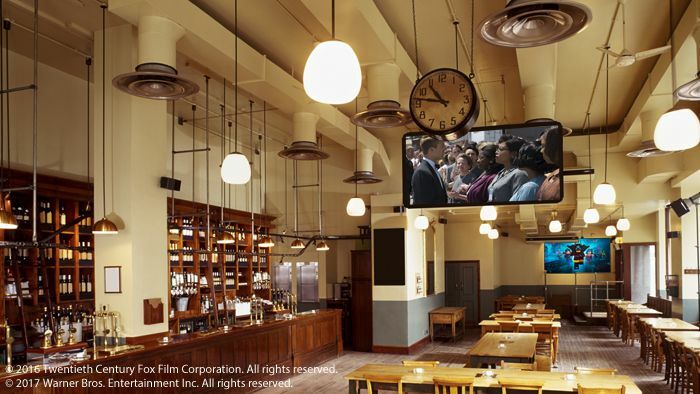 Movies are a great way to entertain customers while they wait--they may just want to stay in your establishment to see the end of the movie! Another benefit of playing movies is that you control the content. While playing broadcast TV may seem affordable, is it really a good deal if customers are seeing advertisements for a competitor’s business? With movies, you control the content, and can even select movies that enhance and support the messaging in your business. Movies are copyrighted works. This means that a public performance license is required when movies are shown in your business. Annual movie licenses for unlimited exhibitions can be as little as a few hundred dollars a year, which in many cases is comparable to or less than business cable or satellite services. How many times do we hear people say, “there’s nothing on TV?” With movies this isn’t the case. Once an annual movie license is in place you can choose from tens of thousands of titles, new and old. Program content that your customers will appreciate, anything from family friendly animated movies to half hour sitcoms. Obtain the content on your own from any legal source whether you rent, purchase, or borrow via Blu-ray, stream or download. Entertainment continues to be a top industry. Why? Simply put, people love movies! Why not offer your customers a simple, affordable, and fun amenity? Contact Motion Picture Licensing Corporation today to learn more about incorporating movies into your business with an annual Umbrella License®!